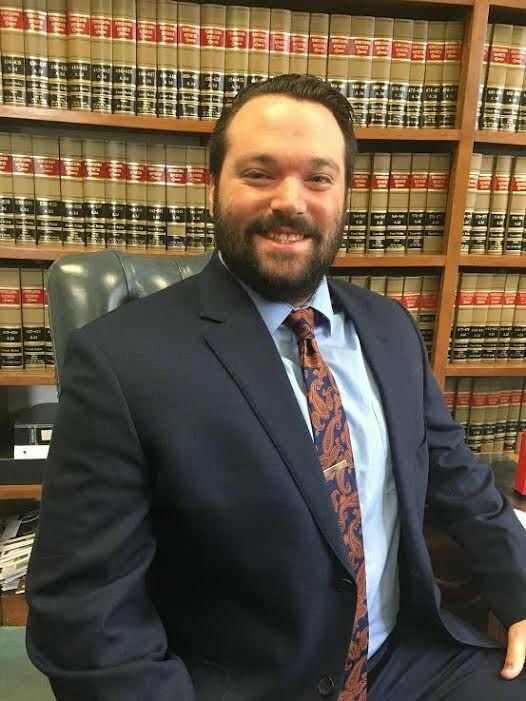 Adam Fennen is the newest attorney serving clients at Weigle & Associates P.C. in Shippensburg. The attorneys of Weigle & Associates P.C. 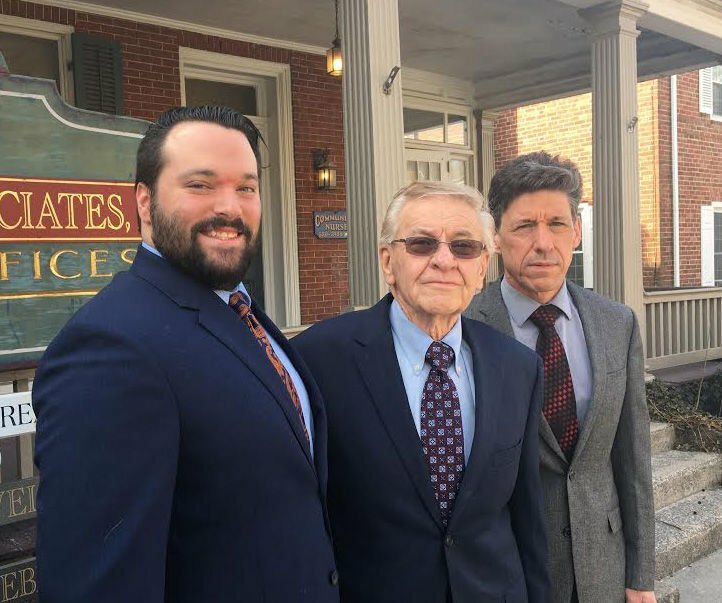 in Shippensburg are, from left: Adam Fennen, Jerry Weigle and Richard L. Webber Jr.
Adam Fennen, 26, was recently hired full time at the firm where he served as a law clerk for the past 2 1/2 years. The Chambersburg native graduated from Chambersburg Area Senior High School in 2011, received his undergraduate degree in history and philosophy from the University of Pittsburgh in 2015, and his law degree from the Penn State Dickinson School of Law in 2018. He passed the bar exam in October of 2018. He said he applied to the University of Pittsburgh, incidentally enough, because his twin brother was going there. Fennen said he is the first attorney in his family, and he wouldn’t have made it this far without their continued support. Fennen said he really enjoys practicing business law, working with partnerships, helping people run their businesses, and teaching them the best way to stay out of legal trouble. “I also enjoy estate planning, Power of Attorney matters and real estate law,” he said. He started at Weigle & Associates as an intern, interviewing longtime attorney Richard L. Webber Jr. for a school project. Fennen said Attorney Jerry Weigle and Webber are great to work with. Fennen said he recently began taking on clients of his own. The most challenging part of the job is time management. Weigle said they are very pleased to have Fennen on board. In Fennen’s spare time, he enjoys reading fantasy and sci-fi novels, Dungeons and Dragons, Steelers football and Milwaukee Bucks basketball. He also plays golf, and has the world’s best cat! William R. Mark started a solo general law practice in Shippensburg in 1939. The practice evolved into a partnership with Jerry A. Weigle, Esquire in 1976, and strives today to continue to offer quality legal services to Shippensburg and the surrounding area. Weigle said the partnership between himself and Bill Mark lasted until Mark’s passing in January of 1980. Today, Weigle & Associates P.C. is still a general practice law firm specializing in all aspects of family law – estate planning and elder law, will preparation, the settlement of Estates, Powers of Attorney, living wills, trusts, and nursing home planning, as well as all aspects of real estate transactions and real estate settlement services, landlord and tenant matters, business and corporate law, criminal law, civil practice, municipal law and district justice hearings. Weigle & Associates is located at 126 E. King St., Shippensburg. The phone number is: (717) 532-7388. The fax number is: (717) 532-5289. Evening and home appointments may be made upon request. For more information, visit the website at: www.weigleassociates.com.